Wow! Great tutorial! Abby you are so clever! I was skimming through the tut saying to myself – oh, so that is how you do that! The bag is amazing. wow abby! great job on the tutorial. every now and then i think i should do a tutorial for something and then i decide its was too much work. great job! You are so creative and crafty! I love all the things you have been doing. How are you? Thank yoy, great tutorial! Now i’ve just finished my first sewing-project with great success! I linked to this bag! Thanks! Hi, I found your site on a referral of someone. I LOVED the diaper bag! SO I made it. I love it, I made some changes to it, but nothing big. I posted it on my blog. our daughter soon to deliver our first grand daughter – my wife planning to stich one bag like this will you share your changfes please, so that she can use your input also ! I am a newbie to sewing and following patterns…there was one piece of the instructions that I found challenging – when to sew together the lining of the bag. I was able to figure out what to do because I’ve made other bags before. Maybe I missed this in the directions, but if I didn’t then it might be helpful to add it in for people like me who are new to sewing. Thanks so much for the pattern, I know my friend is going to love this bag! love the pocket lining! great tut! Oooh! I can’t wait to try this. I just made a similar simpler one from another blog, but yours is next! Can’t wait! I really liked your tutorial for the diaper bag and nursing cover, I made them this week, although mine are smaller, they are going to be great. I added pockets on the outside of the diaper bag, and a tab with our name, as well. Thank you. Can you tell me the finished dimensions of this bag? I Loooove this! I’ve been needing to make a new diaper bag with some fabric I found recently, and I couldn’t figure out quite how to do it, but this is perfect! This is so cute, but I’m finding the finishing instructions (i.e. sewing the lining to the bag without leaving a raw seam at the top, and sewing the straps on) to be really confusing. I think I will probably just make it work, but if you could clarify it at all, that would be wonderful! @ the poster who was asking about the dimensions, it’s pretty large – maybe 18×18 or so? I ended up trimming it down a little bit before I started sewing. Anonymous: As far as sewing the lining and straps and bag all together, I’m wondering if you’re missing that you need to sew them all RIGHT sides together? That way there are no raw edges when you turn the bag inside out. The straps should be sandwiched in between the lining and exterior of the bag, and all right sides should be facing in. Hope that helps! Thank you for your wonderful tutorial you inspired me to make my diaper bag! I really enjoy your website and I look forward to seeing more of your creativity! Thanks again! Elizabeth: I would use a needle for heavier fabrics, such as a 14 or 16. Hope that helps, good luck! Thanks for the tutorial! I just finished my diaper bag tonight. I was a little worried about how it would turn out since I made a big change to it and I am new to sewing but am happy with the results and am planning on making more. I love this tutorial. Thank you for sharing. Here is my take on it. 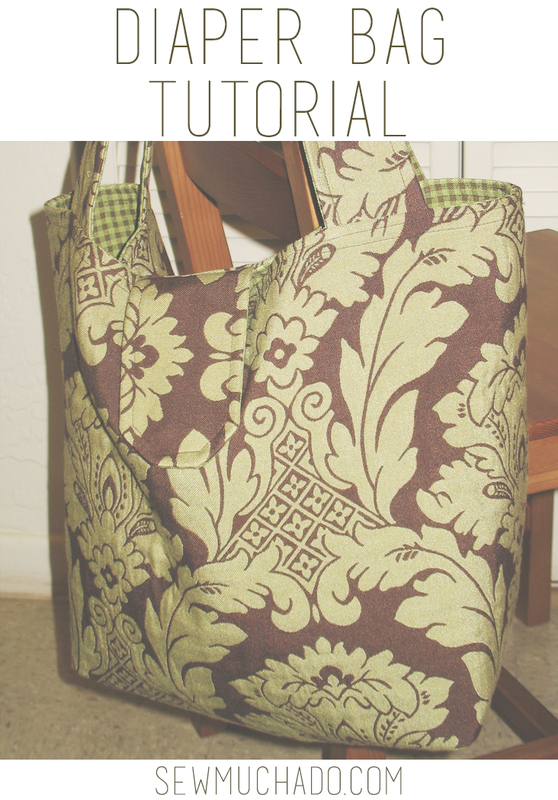 I apologize for resurrecting this post, but I thought you would like to see the bags I have made using your tutorial. One of these days, I’ll make one for me! LOL! It looks so chic! and you make it sound so easy!! I’m a little confused about sewing the exterior and the interior together. Your instructions say to put the lining in the exterior, but the picture looks like the exterior is in the lining. So which is it and does it matter? You’re right! It actually doesn’t matter which goes inside the other, but I’ll change the wording so that the picture matches the words! Thanks for letting me know :). Thank you so much, great tutorial! Thank you so much for the tutorial. I just finished my bag. WWWWonderful ! Love it!!! Here’s my post/pictures about my very first major (well major for me) sewing project! Hi! Thank you so much for sharing this tutorial! I really enjoyed making this bag, it’s going to make such a lovely gift for my expecting friend! Thank you, thank you. Since I am an internet, tutorial taught sewer, I really appreciate all the hard work that you put into this. I love the way mine turned out! Thank you !!!! This is just AMAZING I love the colors and the style. I am just about done the one I am creating and will be giving mine away in a drawing I am having on my blog. What a great tutorial. You can see mine almost done at the link below. Hi! just letting you know–we’ve been using your diaper bag for charity!! We love it! Love it! I can’t wait to make it for my daughter. Diaper bag? I want to make this for a purse! Can’t wait to try it out and of course, John Mayer makes EVERYTHING better! Just started making my bag and realized I used non woven interfacing (too late to go back), do you think that will be a problem? Natasha – not a problem at all :). You can use non-woven interfacing, I just prefer woven. thank you so much for the awesome tutorial! i am a beginner sewer, and was able to make this bag! i love the way it turned out..granted it took me a long time..but thats due to my skills haha.. thanks again! I’m so going to make this with ruffles on the outside of the bag, got to doll it up(: Thank you for the free pattern. At my local quilt shope they are selling these patterns for $12 a pattern! Crazy huh? 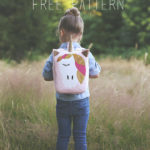 This is such a great bag!!! I’ve been looking for just the right beach bag and cannot find one big enough… in either a store-bought bag or in a commercially-produced pattern. This looks like it will be PERFECT for my beachside or poolside needs! Pair this fantastic tutorial with one I just saw on making your own oilcloth using clear contact paper and VOILA you have a perfect, WATERPROOF beach bag!!! Yay! I’m so looking forward to making this cute bag and then using it when I go to Lake Tahoe in June! This is a great tutorial! I made a diaper bag using your directions for my sister-in-law. Thanks for a fun and useful project! Here are a couple photos of the finished project. 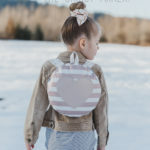 Thank you so much for posting such a great bag pattern! I found it easy and gratifying to have it completed within the day! It looks great and i cant wait to start using it for my as yet unborn baby girl! Thanks! I love this bag and I’m making it for my pregnant daughter. However, I noticed that it is not insulated. I bought some Insul-Bright and was wondering if I can use it for the pockets too. The only thing that may cause an issue is that the pockets may be too bulky and I will have to add another piece of fabric for the other side of the pockets to sandwich the Insul-Bright. Any suggestions? I’m not sure if someone mentioned this, but in the written instructions, it says to cut one 18×20 set of the exterior, interior, and interfacing fabrics, and it should be two. LOVE this! I just made it and use it now all the time. I’ve had a few people ask if I’d be willing to make it and sell it to them? Is there a license I could buy or are you open to others selling the finished product?? Thanks so much! Great tutorial!! I will defenately try one of these for my friend who is expecting!! I loved your tutorial so much, I made a bag too. Go to this link to my blog and you can see a picture of it. I put your link at the bottom of my post. Thanks so much, Abby. 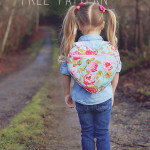 I live in France..patterns are so expensive, so I typed in “free diaper bag pattern” and fell in love with yours. I’ve just made one for my daughter who is expecting in March.. You explained it SO well..I’ll be back to your sites for more advice! I made one for myself over a year ago and it has been my favorite diaper bag! I made another one for a friend who really likes it too, thanks for the tutorial it was very thorough. Thanks for this great tutorial. I am only new to sewing so also had problems with fixing together lining and outer, and it took three attempts and two unpickings to get it right. For other novices – pop the outer with the right sides facing out, into the inner whih has been turned inside out. I used the basic shape/pattern, but changed handles, didn’t use a flap, put pockets on front, and only one set of non elasticated pockets inside. The back is plain green, in case my friend fancies . I made this bag this weekend and I just love it. The button tag was a bit hard to sew along at the indented part but other then that I found it great. I had to read a few parts several times to get it thru my head lol. This was my first ever sewing project. So a beginner should be fine. I just finished my diaper bag, and I am in love. Instructions were easy to follow. I added a zippered pocket to the bag of the bag. Great tutorial! I realized your bag two years ago for the birth of my nephews. I wish I had sewing machine to begin with. You make such a wonderful pattern and I had lots of pretty fabric to try. My bag is packed and bigger bag is all I need, if I could make it myself I’ll be even happier. I can sew by hand but I think I need stronger stitches. Sigh. I have made this bag at least a dozen times and LOVE it. However, I really want to put pockets on the outside of the next one I make too. Can anyone share how I would do that. For some reason I can’t wrap my brain around it. Thanks! @ jana you would make your pockets on the outside before any lining. You can cut a square what ever size you want hem the raw edges with a 1/4″ seam and top stitch it on. Hope this helped.. Sorry if I stepped on toes but didn’t see any reply. 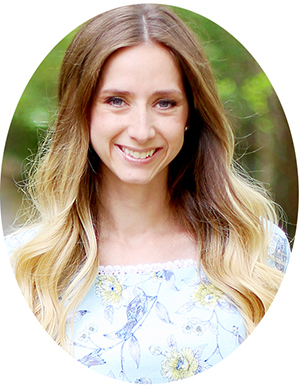 Gweny – Thanks! No worries about stepping on toes :). I had actually forgotten to reply to Jana so I’m glad you did! These have been used so much. I appreciate the time you spent to make the tutorial! This preventative evaluate should be typical understanding. STDs like Chlamydia and gonorrhea. Get a few of beverages, and listen to the music. I made this bag and I like it a lot. However I had some trouble with sewing the outside and the lining together. I would suggest to baste the handles first, and then assemble outside + lining. Like this, the handles would be securely in place and not shifting while sewing. Except for this small point, thanks for the tutorial. on the safe side, when responding to concerns, think carefully about what is being stated. Only took me a day to get my head round it all and make one for a friend who had a little boy recently, here’s a link to my post showing the cool VW camper print fabric bag I made.